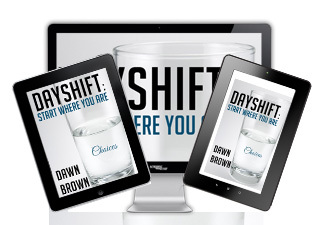 DayShift: Start Where You Are is filled with gems that remind us that personal growth is a lifelong endeavor. By accepting the book's daily invitations to increase our awareness, we can build powerful habits that create lasting results. Buy Now From Smashwords! Buy Now From Amazon! 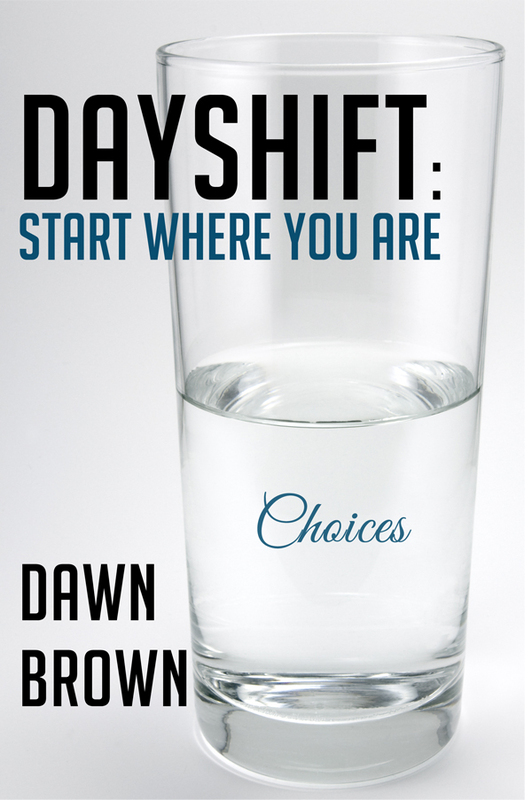 Dawn’s presentations are described as inspiring, educational, genuine, entertaining, and “Just what I needed to hear.” Her message is simple and effective: While we can’t change the people and events in our lives, we can choose to change our perceptions of them. Dawn’s high-impact, energizing keynotes develop the mindset essential to access the competencies people need for professional and personal success. This experiential presentation pulls together the latest research findings to examine the barriers to happiness that we face and their impact in the workplace and our personal lives. Attaining the increased salaries, the company perks, the larger homes, and all the symbols and trappings of success can still leave us with feelings of emptiness. While our happiness can be influenced by external conditions, we have the ability to determine the impact these conditions play in our lives. 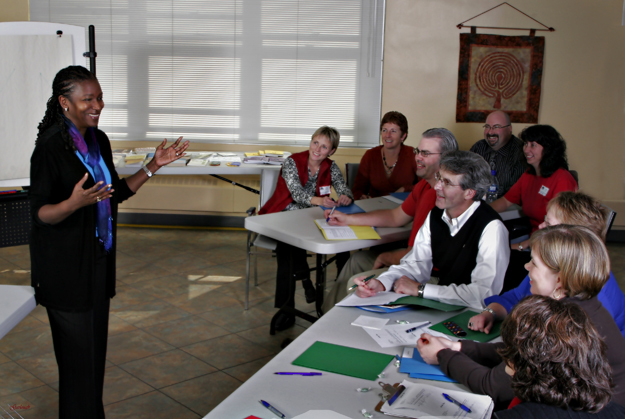 Benefits: Participants learn practical strategies to cultivate and strengthen the mindset that can remove the barriers to happiness. They learn the conditions that generate happiness and explore the ways happiness can be cultivated in their professional and personal lives. They leave having learnt the techniques to increase their levels of happiness and with the knowledge that the responsibility for practicing these techniques is a personal choice – their own. Shift Your Perception…Recharge Your Life! This interactive presentation is an invitation to reconnect with what is authentic and meaningful in life. It empowers participants by increasing their awareness that they can make powerful changes in their lives, not by changing others or past events but by shifting how they look at life’s challenges. Whether the change is internal or external, the shift in perception starts within each of us. This is the road to a happier life. The use of stories, metaphors, humour, and audience interaction make this a presentation to remember! Benefits: Audiences gain an increased awareness of themselves and the essential role their self-care plays in creating the lives they want. They leave with a new perspective of the challenges they face in life, an appreciation of the progress they have made, and a sense of commitment to implement strategies learnt during this short time together. Everyone falls. Life’s lessons are about getting up. What seems like a fall may be life’s way of preparing us for a leap in growth. Stumbling and falling remind us to take care of ourselves. Often we fail to recognize that we are change agents. We have the ability to create an environment that makes growth possible in the workplace and our families. However, if we want to be effective in helping others, we can only give what we’ve first given to ourselves. Here is an opportunity to tap that inner knowledge to develop an “early detection system” that may prevent painful spills and to shorten the learning curve in order to recover more quickly from our stumbles. Benefits: This is an invitation to experience the sense of freedom that comes with a little willingness to look at what fear is, move through it, and then move on. Life’s lessons that bring us face to face with our fears will never end. People walk away from this presentation feeling energized and ready to put into action the insights they’ve gained; more confident in their ability to handle daily ups and downs; and with strategies to create possibilities by shifting their perceptions of what seemed like obstacles. Participants will learn the role humour plays in moving us through the getting up period in this laughter-packed presentation. The Secret to a Superior Workplace: Emotional Intelligence! In today’s workplace, the most intelligent or highly qualified person may not have the emotional make-up to cope with the pressures and stresses common place in our work environment, or the skills needed to interact effectively with others. A brilliant employee who is stressed out or experiences difficulty working with others can affect the team morale. There is hope however. We all possess the ability to improve our emotional intelligence at any point in our lives. Find out what it means to run an emotionally intelligent business or to be “emotionally smart” in the workplace. Benefits: The audience will have an understanding of what Emotional Intelligence is and why it is essential in today’s workplace. They will have the opportunity to assess their own emotional intelligence, celebrate their strengths. They will also leave with an understanding of the practical steps they can put into place immediately to enhance their own EI and create an emotionally smart work environment. In organizations that thrive, the whole is greater than the sum of its parts. The contributions of its people create an organization that is greater than the sum of all their contributions. These organizations not only say that their people are their business – they show it. Instead of moving teams from project to project, they make the time to celebrate achievements and to create the environment for continued growth. This dynamic presentation is best suited at the beginning of a new period, when a project ends, or whenever one wants to show appreciation. Benefits: This presentation provides the burst of energy needed to begin the new and deal with the uncertainty that is ever present in a dynamic organization. It recognizes work done and validates excellence in performance. This contributes greatly to a more motivated workforce and therefore increased productivity. This is also an opportunity for employees to recognize and acknowledge their own contributions to creating the greater whole. This in turn strengthens employee loyalty and morale and creates a win-win environment for all. 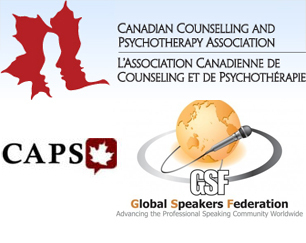 * Please Note: These keynote topics can also be presented as workshops and seminars – their length and format modified to fit your needs. "While we can't change the people and events in our lives, we can choose to shift our perceptions of them. That's our point of power."